Business Builder combines two days of inspiration with workshop sessions. The seminar A Mindset for Results on Thursday 30th June gives you insights, tools and inspiration. At Friday 1 July, a few of us continues the work together with Robert Brinkerhoff with focus on your organization. Corporations and other organizations are challenged today to execute new strategy and adopt changes in new technology and market conditions more quickly than ever before. 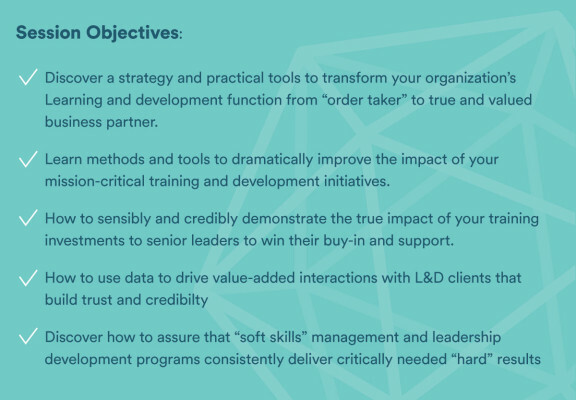 One of the keys to being able to quickly execute new strategies is the capability of the organization to consistently leverage learning into new actions, decisions and behaviours that are aligned with and will achieve desired strategic outcomes. Professor Brinkerhoff is the creator of widely known, research-based and proven methods and tools that many of the world’s leading companies have adopted to achieve a dramatically increased and guaranteed payback on investments in learning and development. Increase competitive advantage by building a learning organisation that consistently accelerates the execution of key business strategies – out-learning to out-perform competitors. Many companies and government agencies around the world, including the World Bank, Nike, 3M, Novo Nordisk, Cargill, Kroger, Velux, Inc. among many others have used Professor Brinkerhoff’s approaches to increase the ROI of learning initiatives. This one-day workshop will include participant exercises, small group critiques, and demonstrations and examples of best practices. 30 June 2016 – Seminar “A Mindset for Results” at Berns, Stockholm.